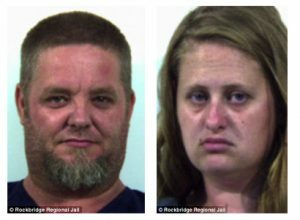 Incestuous half-siblings raped and abused two girls, 3 and 3, in their trailer home for months until the ‘feral’ children were rescued covered in cockroaches and surrounded by guns and port, on DailyMail.co.uk. Sounds like it was one person in social services who failed to protect the children, really blocked getting them out. It was other employees from the same dept who later rescued them.